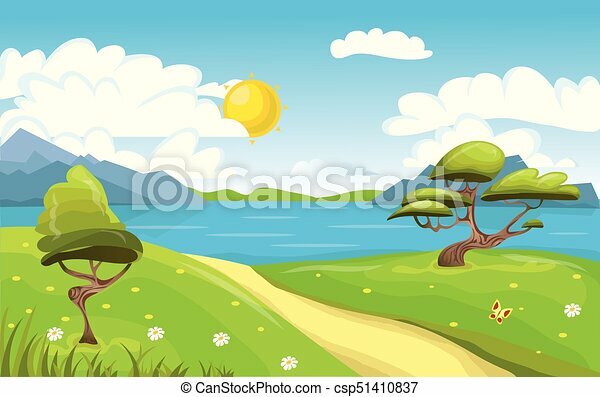 Cartoon landscape. 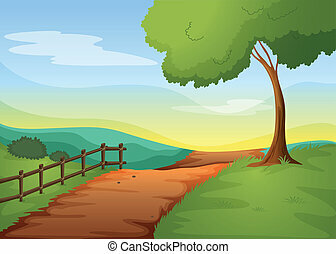 Mountains, sea or lake, trees and dirt road. 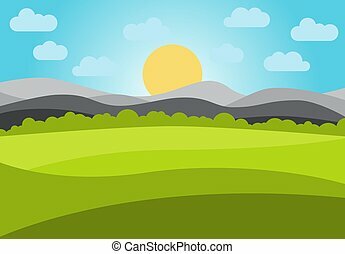 Blue sky with white clouds and sun. Vector Illustration. 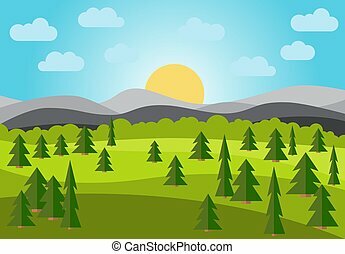 Vector landscape with field, trees and mountains. Early morning with the rising of the sun on the horizon. Vector illustration. 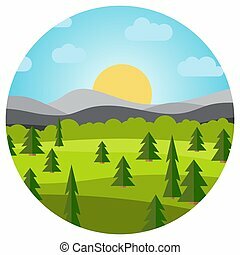 Vector landscape with field and trees and mountains in circle. Early morning with the rising of the sun on the horizon. Vector illustration. 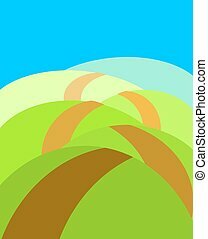 Vector landscape with field and mountains. Early morning with the rising of the sun on the horizon. Vector illustration. 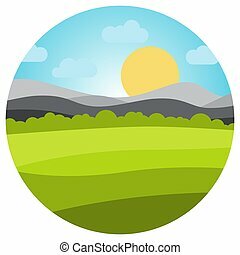 Vector landscape with field and mountains in circle. . Early morning with the rising of the sun on the horizon. Vector illustration.